Remove the instrument panel center molding. 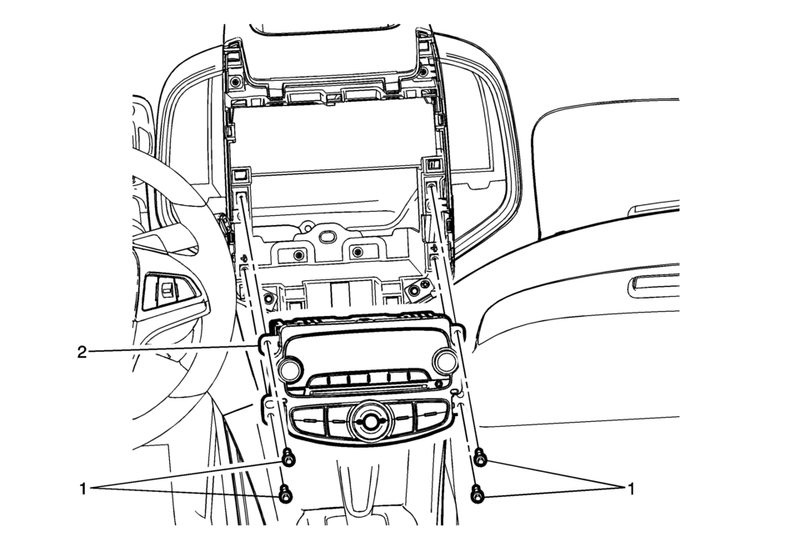 Refer to Instrument Panel Center Molding Replacement. Refer to Control Module References for programming and setup information.